It's a rare pleasure to hear an electronica record that's actually making attempts to sound genuinely, excitingly fresh, but this might be just such a thing. Qua is the solo project of Cornel Wilzcek, who combines guitar and piano recordings with the drumming talents of Laurence Pike (of Triosk and new Warp band Pivot) only to scramble all the source material into a beautiful digital swirl via a custom-made patch and some deft use of the supremely fancy touchscreen controller, Lemur. The results of all this resembles the 'folded' guitar sounds of Christopher Willits, the electroacoustic jitters of Alog, or as Wilzcek would probably be keenest to assert, Steve Reich. The key to the Qua sound is a developing network of fast loops and fractured sounds, but because of the very conventionally musical source material, all this exudes an approachability that wouldn't ordinarily creep into such meticulously structured process music. 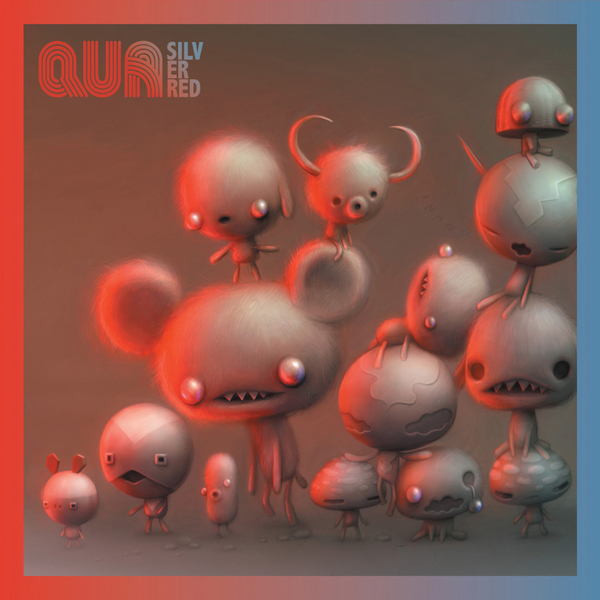 A companion piece to the three-part 'Silver Red', 'One Second' departs from the head-spinning contortions of that mini-epic, and favours a more naturalistic presentation of instrumental sounds, teetering on the brink of cinematic post-rock, but without resorting to the customary quiet-loud dynamics. Excellent.